It’s never too early to make sure your child is reaching his or her potential in school. 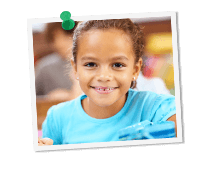 Grade Potential provides elementary school tutors for every subject and grade level, so personalized tutoring is just a phone call away! Contact us to schedule a tutor that fits with your child’s specific academic goals. Let’s work together to help your child grow!